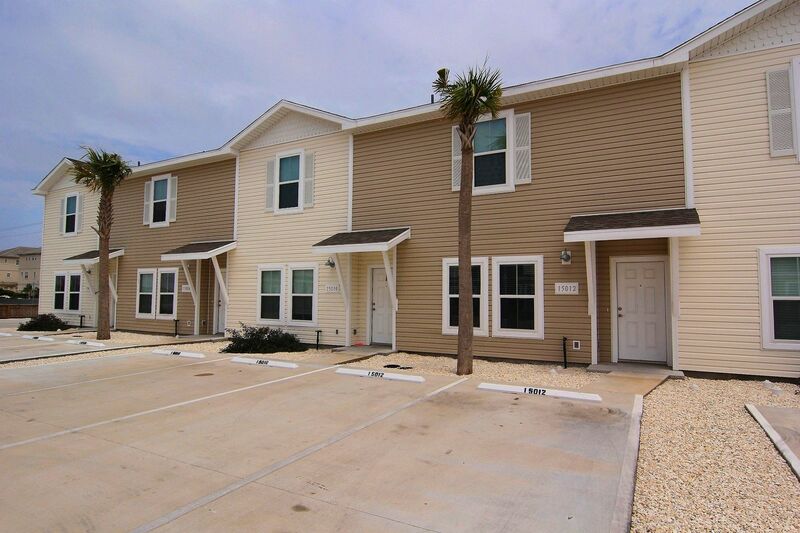 Address: 15012 Beach Walk Loop Location: Corpus Christi Type: Townhouse Area: 1297 Sq.Ft. Unit was neat and clean. Everything needed was available. Only negative is that it had been sprayed for bugs recently had used really strong smelling insecticide on walk and we had an infant. Sorry to hear about the insecticide smell, that's not an issue we've heard before so it should just be a one time thing. Hope we see you back again soon. Thank you for the feedback. A great place to get away from the cold! 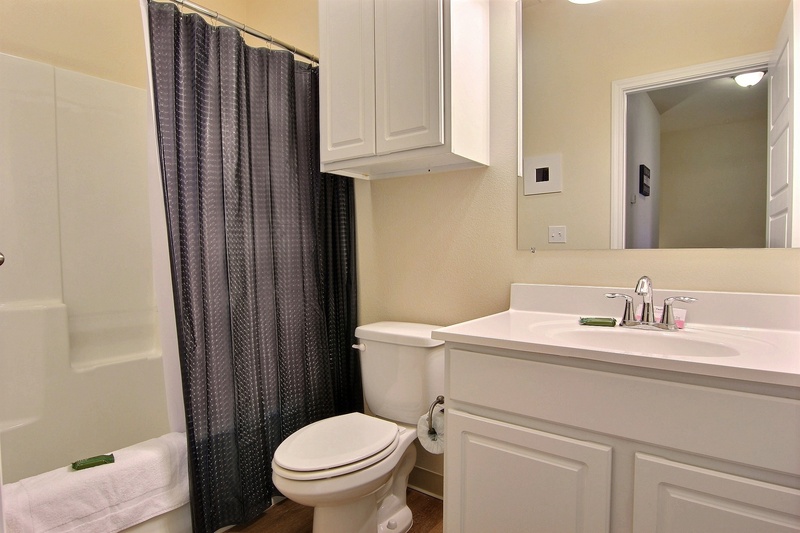 Very clean and roomy! Good beds for a great night's sleep. Close to many of the activities and beach walking. 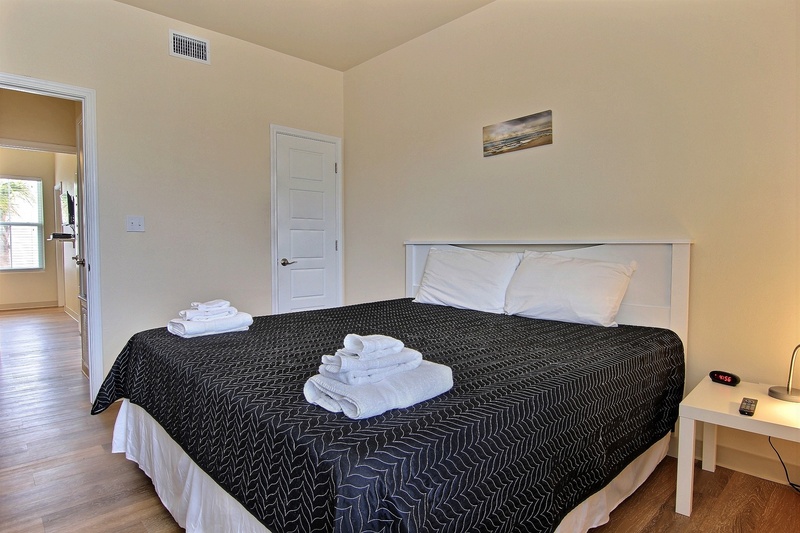 The rental property was ideally situated within a 10 minute walk from the beach and close to a bar/restaurant. It was set within a small complex with a heated swimming pool which we were able to use each day in January. 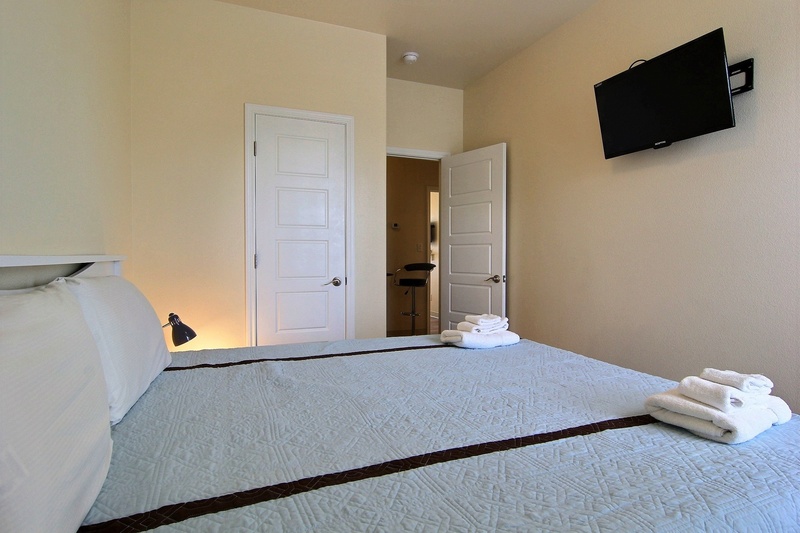 The property was particularly well equipped with cable TV in the lounge and each bedroom. The kitchen facilities were generally good although British visitors should be aware that no kettle is provided to make tea. Some of the utensils required replacement but these were minor issues. On arrival we notice that only three clothes hangers had been provided, one for each bedroom. Following a call to the staff at the office a supply of clothes hangers were delivered to us within half an hour. The property was generally clean but large amounts of dust were evident under the beds and sofas. The staff at the office were particularly helpful, would recommend this property. Thank you for the feedback, dust accumulation is an on-going battle in our environment but shortly after you checked out the property was deep cleaned and any dust under beds would've been addressed. Hope we see you back again soon. The rental was everything we thought it would be. 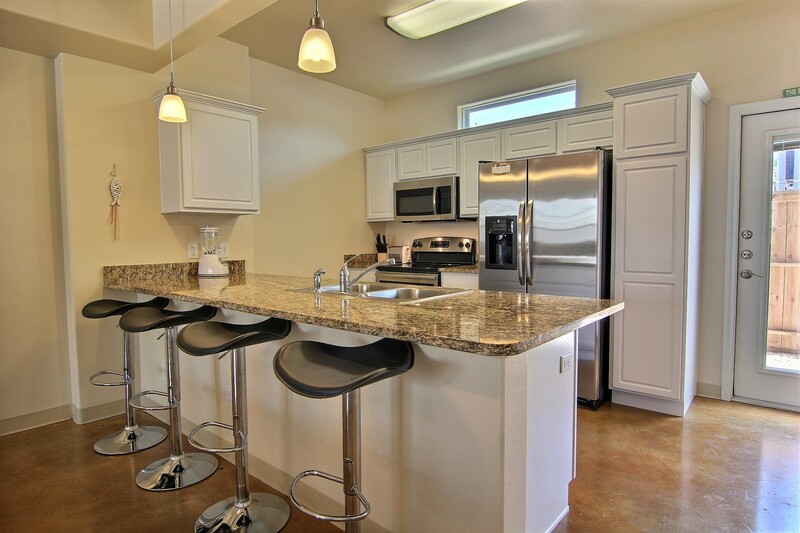 Well equipped, spacious and with a perfect location. I did leave a list of missing or broken kitchen equipment, but nothing major. 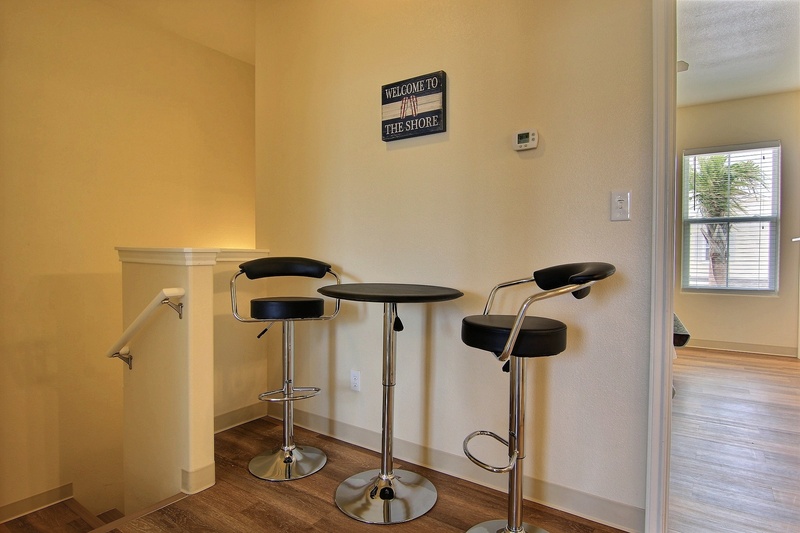 The townhouse was wonderful, everything you need is there, they do have bbQ's but they are charcoal and at the end of the units and near the pool. The pool was heated and never very crowded, people were very nice, and only 1 1/2 blocks from beach. The Beach is amazing, goes on for ever and you can drive your car on in most parts, lots of people with dogs which can also walk on the beach. The only draw back was the bed was just ok, would have liked a firmer bed. From start to finish this was a wonderful experience. Easy to book, excellent communication with Padre Escapes, great price. 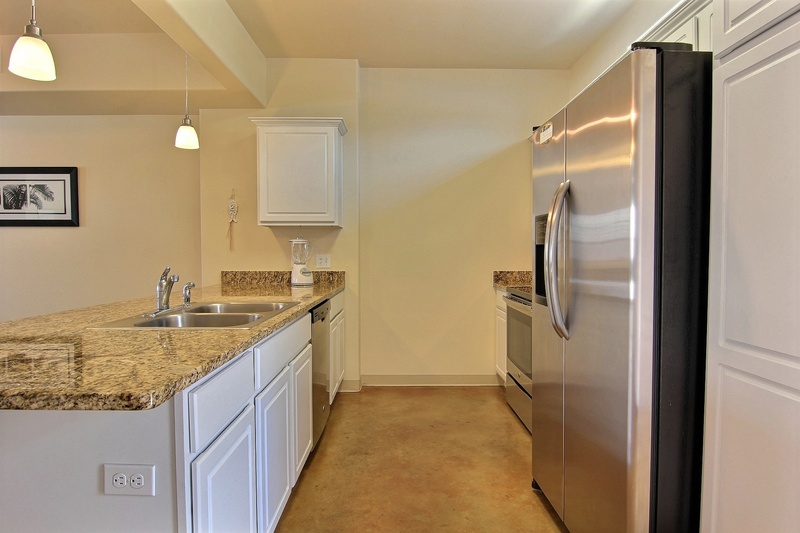 2min walk to the beach, ample parking,and minutes to really great places to eat. The townhouse was spotless, big and brand new. I will surely be coming back again. Had a great time. 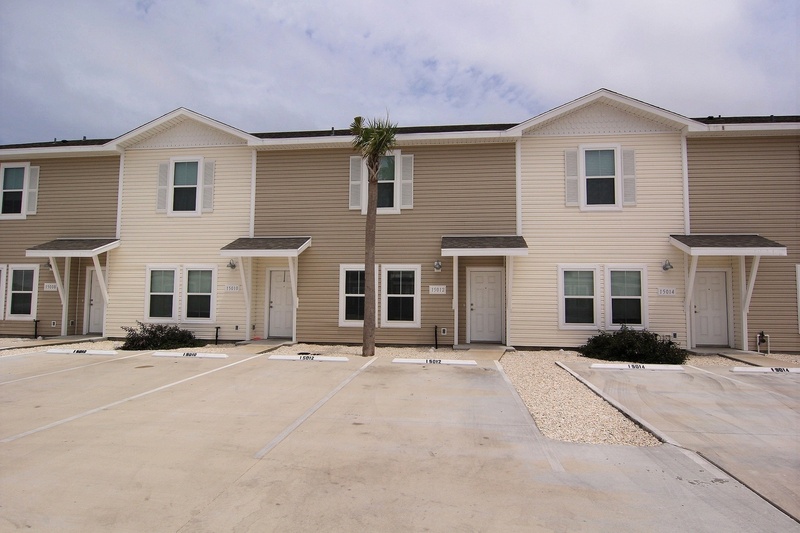 Clean, not far from beach area, easy access to convenience store, church, etc. Only thing I was dissatisfied with was that all of the kitchen utensils were not we just washed them. Pool was nice. Would definitely come back. 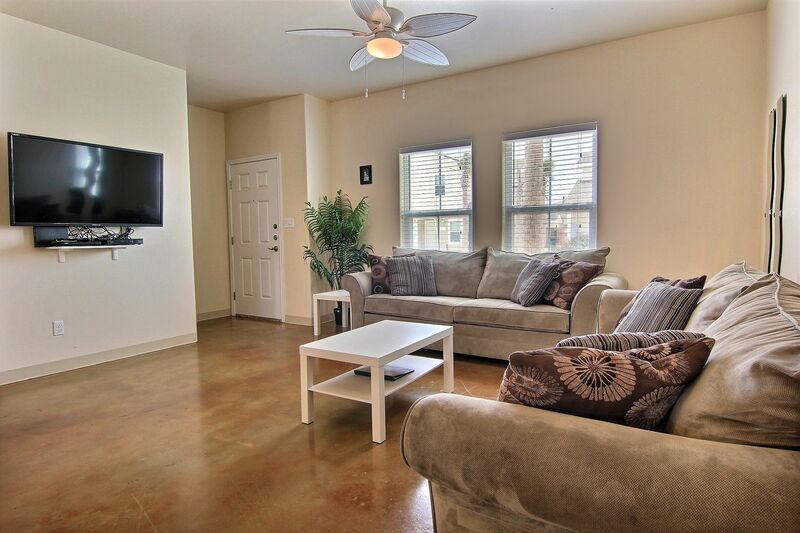 We booked this condo for 7 guests a week before our stay. The office staff was very helpful and friendly over the phone and via email. The check-in and check-out process couldn't have been any easier thanks to their efficient process. 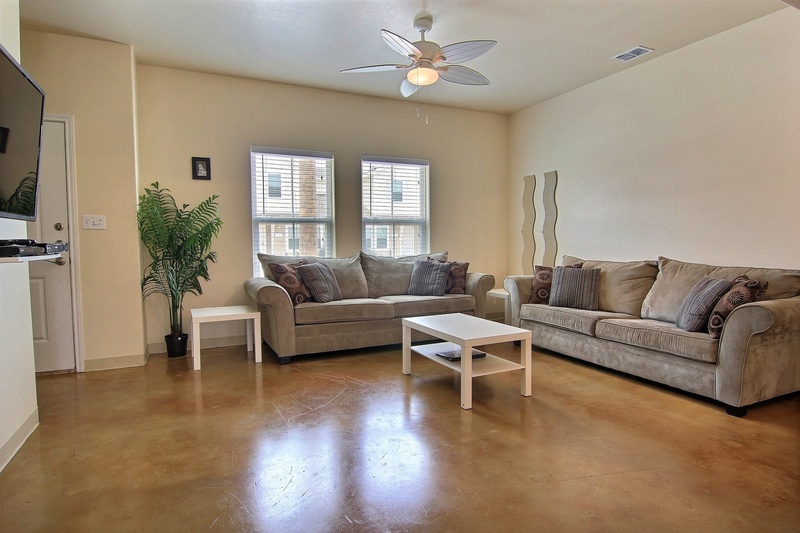 The condo itself was clean with nice furnishings. The kitchen is stocked well enough that we were able to cook every meal with no problem. We used the roll-away beds and they are very comfortable! The location of the condo is close to the beach, so we enjoyed the short walk. The pool is on the small side, but it was so relaxing. 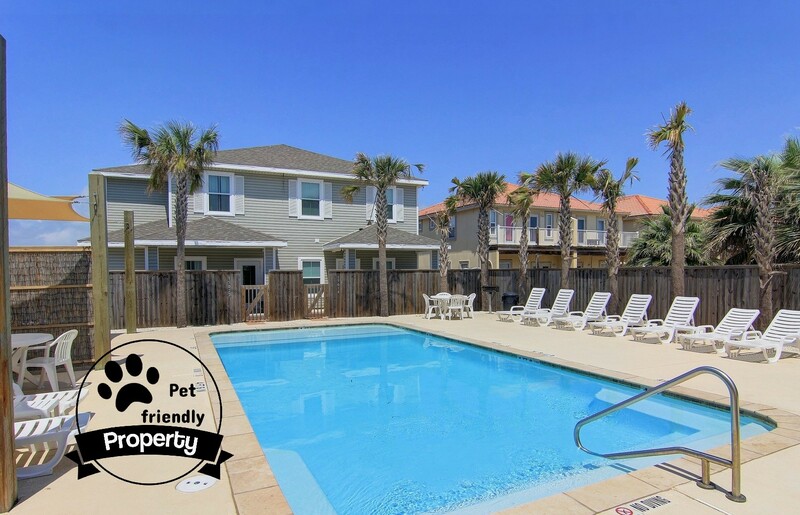 We will definitely use Padre Escapes again, and would recommend this property to anyone looking for a nice getaway to the beach! 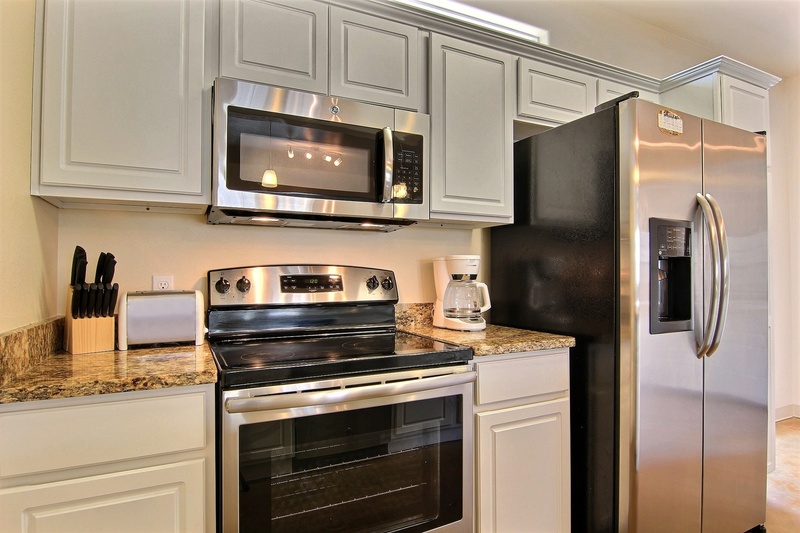 In good condition; very roomy; had a couple minor repairs needed after checking in on first night but office called me right back and set up a time the next morning for maintenance who were punctual and completed repairs in a timely manner. Swimming pool is to small, is the only thing that could of been better. Our original reservation was not available. But as soon as it was, a rep came out (after hours) tonhelp is make the switch! That was much appreciated. Our accommodations were perfect and we coi is not have been happier! We will definitely stay again! Everything was perfect for my daughters their husbands and my huband and I! 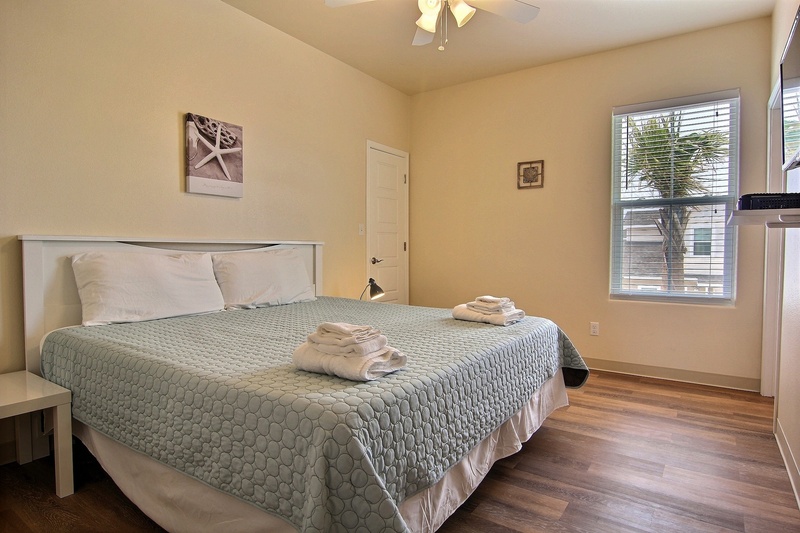 Three great bedrooms all with King size beds! 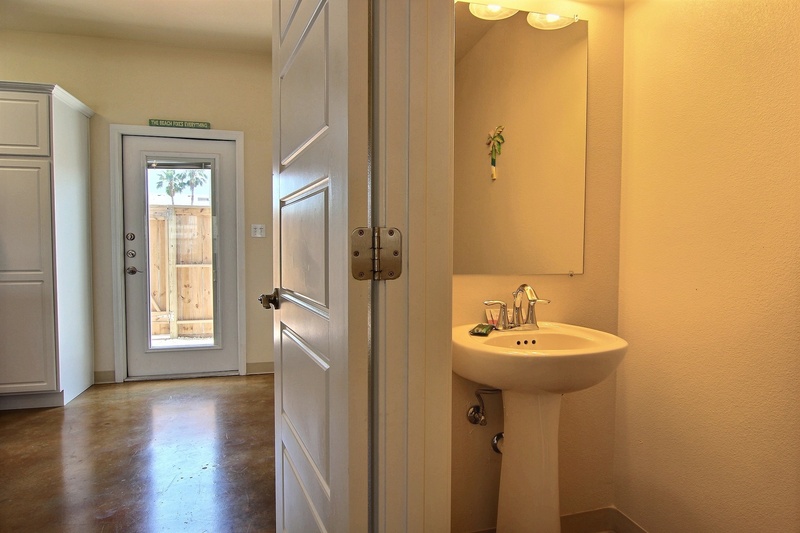 The 1/2 bath downstairs helped a great deal. The kitchen was perfect for getting breakfast done quickly. Downstairs was very spacious. The pool area was great as well and we enjoyed the fact that it wasn't cold. 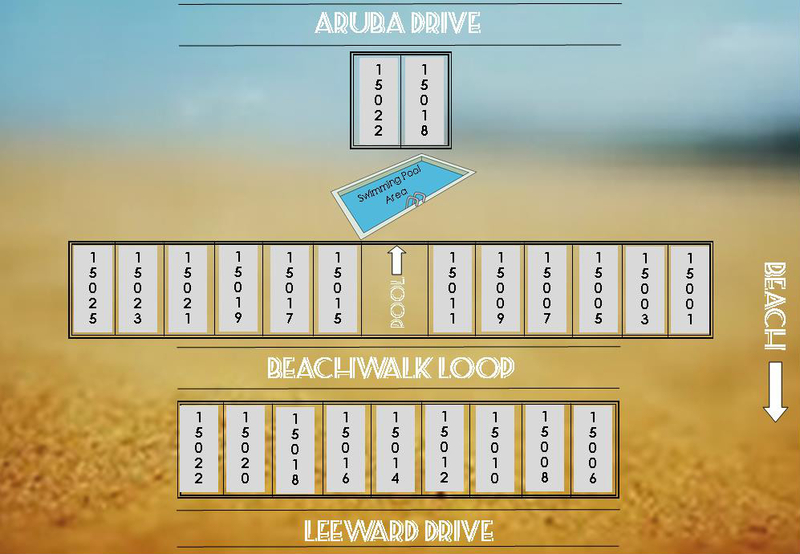 The location was as well perfect with 2 very convenient entrances to the beach area that are within walking distance. We thrououghly enjoyed our stay and hope to hope back very soon. Check in was quick and easy as well and the ladies were extremely nice and helpful. This was a great place to stay with very close beach access and a nice pool area. 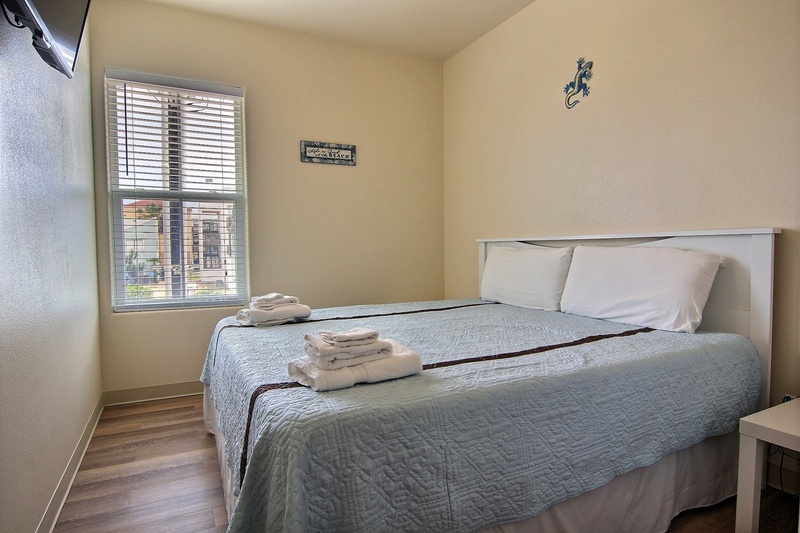 Nice bedroom and bathrooms, good amenities provided. Condo was nice and very clean. The only thing that would keep me from renting here again is the master shower was very small. Ended up using the other shower in the kids bathroom. I like the small, quaint, dog friendly complex. Despite the horrible weather the weekend was relaxing and enjoyable. Concrete floors were challenging with a toddler and no way to block the stair case. The place only had overhead lights down stairs no lamps but for our weekend it was very nice. We appreciate your feedback. Of course we don't have any control over the weather but most times if it's raining one day you can expect sunshine the next day. We'll discuss adding lamps with the owners. Thanks again for your feedback. We had a wonderful time! The condo was clean and very big. 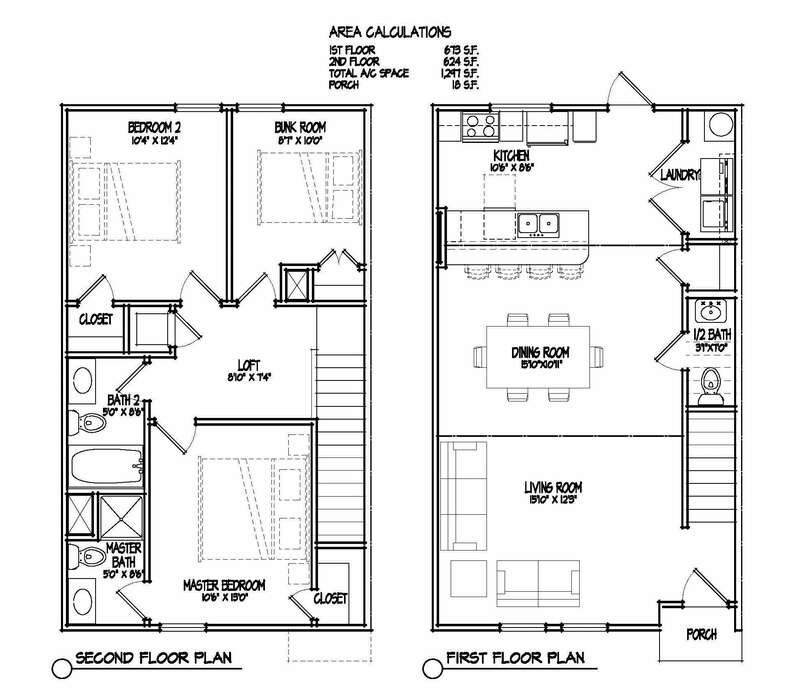 Great over-sized living area and bedrooms. Having a washer and dryer was the best. Pool is a little small, but the beach is so close who cares!! Will be back next year....thanks for the memories! 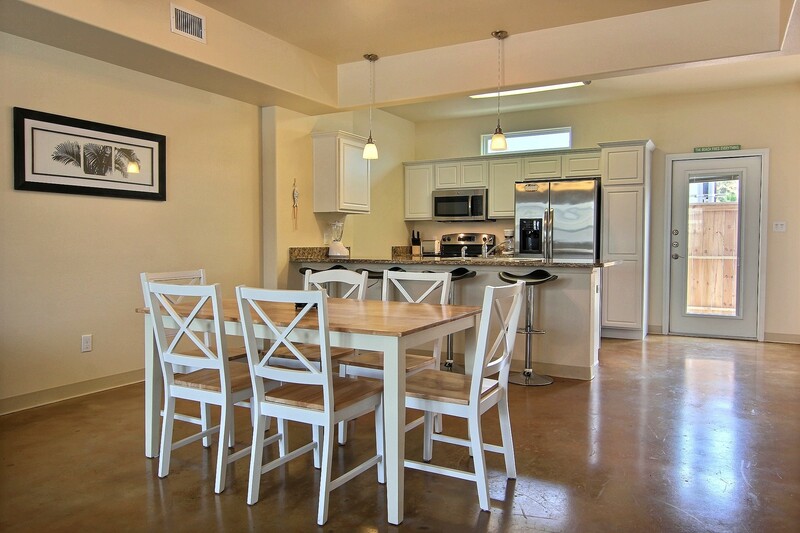 I rented 4 units at Leeward Bay Townhouses for a family reunion. Nice set up for all 21 adults and 11 kids. The house was in a perfect location just 3 min from the beach. Plenty of very comfortable beds (including the roll always) nice patio with water hose! Would definitely stay here again! We had 4 adults and 2 dogs staying at this home. It accomodates up to 8 so we had plenty of room. With dogs it was nice that the floors were stained concrete and linoleum. The only down side is the pillows and beds. We are use to foam mattresses and pillows so this was not comfortable for us. Bring your own pillows. The Rental was very clean and nicely arranged. It was a nice distance to Port Aransas and Corpus. We loved the location. However, we were a little disappointed that we had 8 guests and only were provided 4 towels. We had to go out and purchase several towels and wash cloths. It also was missing a dust pan, hand soap, and not enough toilet paper or paper towels for an entire weeks stay. 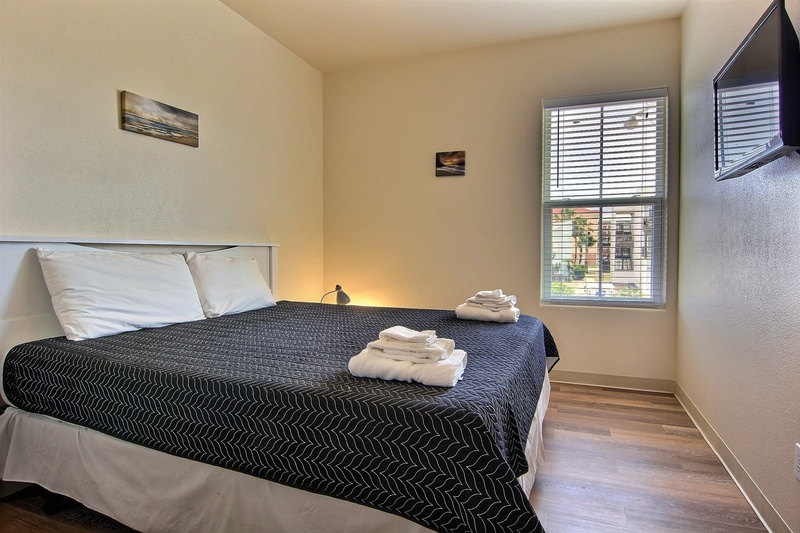 You probably want to take an extra pillow or two as well because even though it has three king size beds there are only two standard pillows on each bed and no extra blankets. We did enjoy or stay but it would benefit the rental company (owners) to spend the extra money on these small items to ensure a nice stay for their guests. We're disappointed to hear you guys didn't have enough of those items. 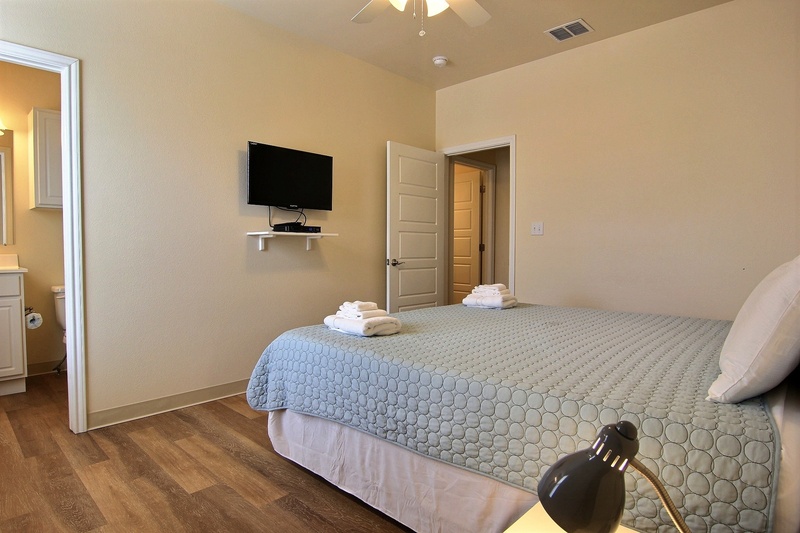 We do provide 10 towels, hand towels and wash cloths at each unit and we would've been happy to provide you with more. We also provide two soaps and toilet papers for each bathroom and would've been happy to bring you more. We apologize for those couple of inconveniences but we do appreciate the feedback and we will certainly use it to improve our services. Could not be happier with our stay. The place was very nice and the location was great! Check in was very easy and everyone was very friendly. Our check in was very quick and easy. Using the app was also great, it reminded me of the things to do upon check in and check out. 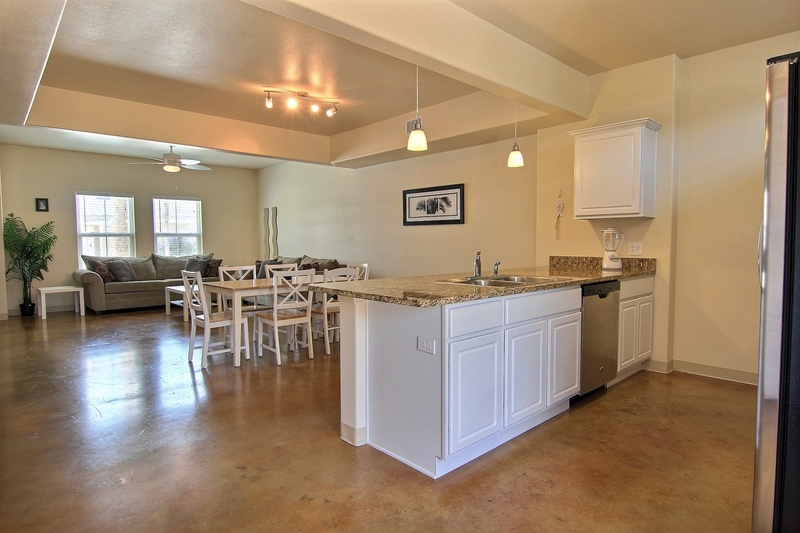 The property was very clean and easy to find with easy access to the beach. I only wish the check out time could've been later than 11. 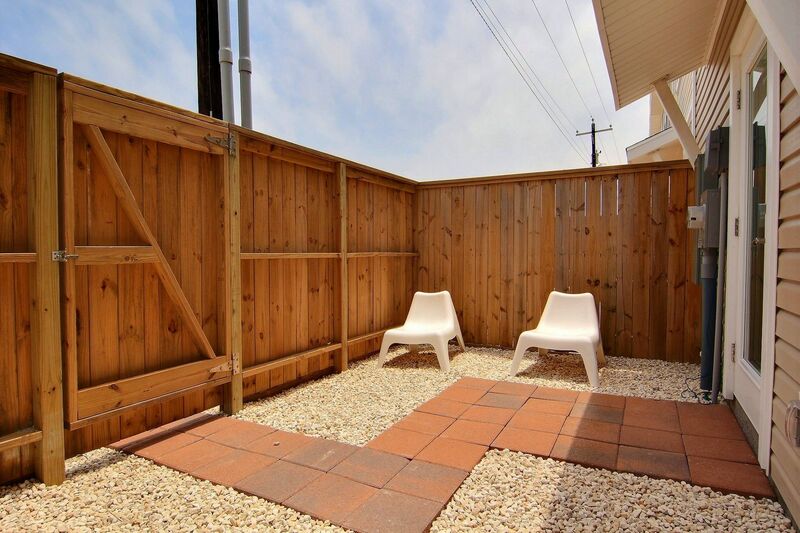 We will definitely be using Padre Escapes for our next trip to Corpus. We thoroughly enjoyed our stay. 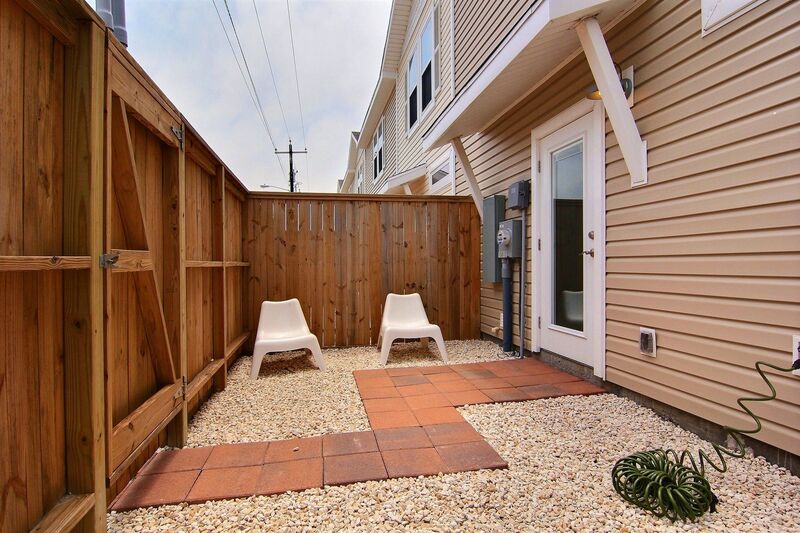 Our townhouse was Clean,comfortable and close to the well groomed beach. Loved the king size beds. 3-day weekend. Stayed at this property 2years ago. Nothing changed. Units packed with more people than I believe allowed. Every unit must have had 3 cars. Loud and noisy outside til midnight or after. Had to ask for quite courtesy. Pool packed. Trash all over at front entry. Won't stay here again. Lower end units. Bed & pillows very uncomfortable. We are certainly disappointed to see your review. We didn't hear any similar complaints from guests who stayed during this same time frame but Memorial Day weekend is one of the busiest weekends of the year. 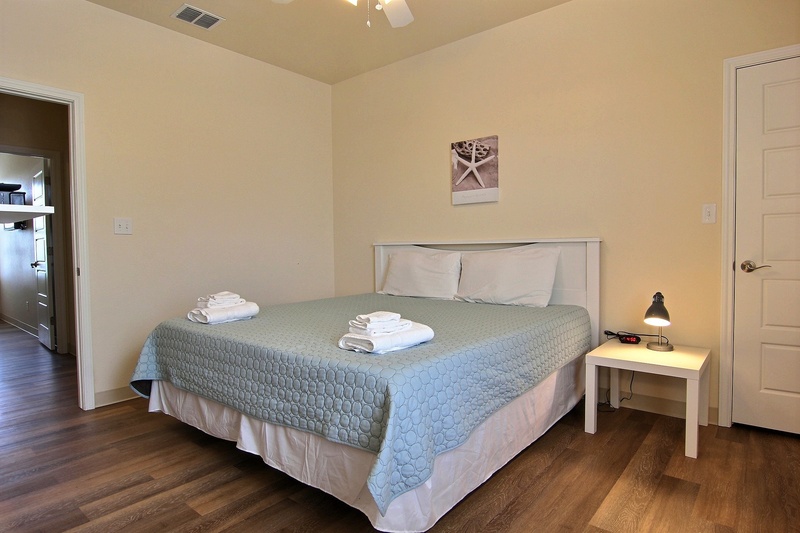 Typically it is not as crowded, The beds are actually something a lot of guests compliment at these properties but beds are a matter of personal preference. Thank you for your feedback. Great location !! Very clean! Quiet! Easy to find! Can't beat the location to the Beach! Would definitely stay again ! Stayed in this rental with family for a week: 6 adults, 1 child. 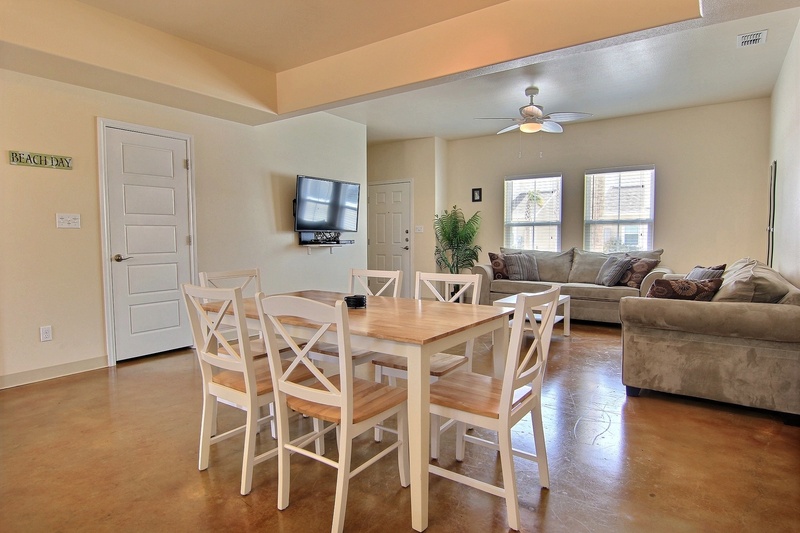 The location was great, convenient to Corpus and the beach was a 5 minute walk, which was fantastic. The house was very clean. We enjoyed the pool, too. I think the house would be perfect for a weekend stay, but for a whole week the amenities were somewhat lacking. For instance, having basics like coffee filters, salt and pepper, and enough toilet paper to last the week would be appreciated. Kitchen set up fine for heating up pizza, leftovers, but not so great for actually cooking meals. 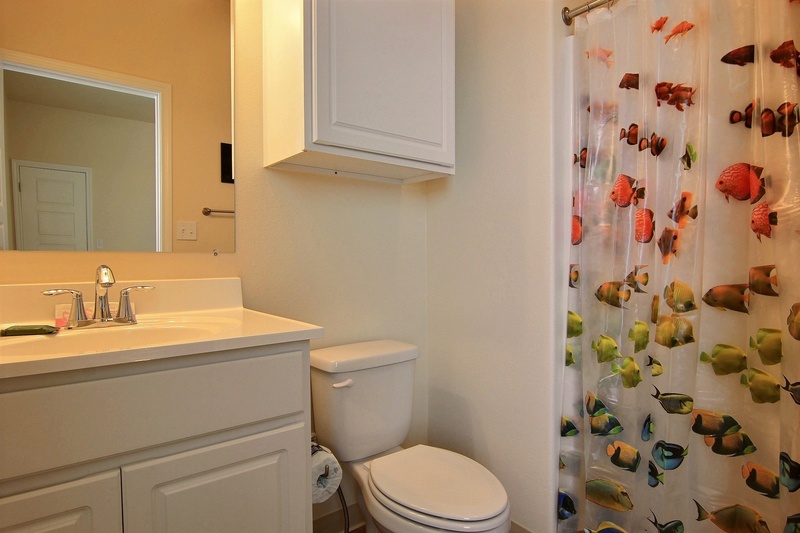 (Knives dull, one small potholder) Having more than one towel, pillow and washcloth per person, and sufficient places to hang towels would also take this rental up a notch. More seating and wall hangings or something in the echo-y main area would be nice as well. We were asked if the house could be sprayed for pests in the morning before we checked out. Since we had a 3 year old with us, that was not OK, and they did not come, but given the check-out time was 11, seemed like an odd request. A request for a couple more pillows was declined. Overall it worked well for our family, but a few small changes would take it up to five stars. Thank you for your feedback. Pest control is scheduled by the HOA and timing is not something we have a roll in. We do communicate that there is a "Starter Supply" (2 rolls per bathroom) of items like toilet paper supplied. Food products including spices, salt and pepper are not allowed to be left between stays according to Texas state law so we will not be providing those items. Thank you for notifying us on the kitchen items, we'll get those updated. You can always request more towels and pillows if needed, we would've happily brought them to you. 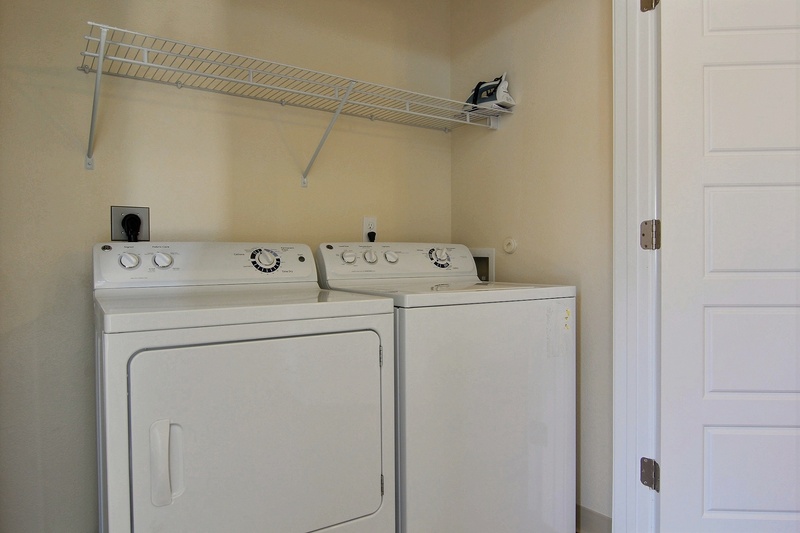 There is also a washer and dryer in the unit for your use as well. Thank you again for your feedback.